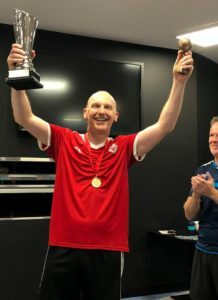 Melbourne TFC’s Carl Young rolled back the years to claim a fantastic victory in the 4th Asian Cup of Table Football, staged in Melbourne over the weekend of January 20-21. 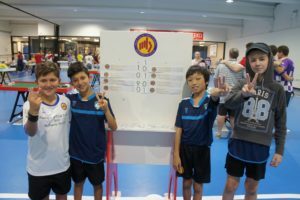 Young beat Hong Kong’s Antonio Carabillo 2-0 in a pulsating final. 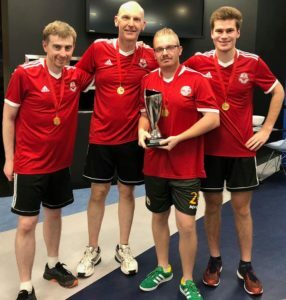 Young, who emigrated to Australia and is an Australian citizen, had a fantastic weekend, being part of his club team that took the Teams event, beating Sydney TFC 3-0. 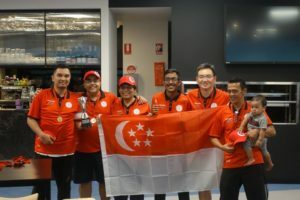 His only hiccup was when the Australian national team could not beat traditional rivals Singapore, with the Lions taking their 4th consecutive national team title. 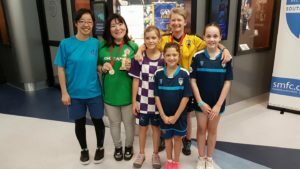 Japan’s Kimi Wada caused an upset in the Ladies Final, beating local Beth Eveleigh (Northern Phoenix TFC) 2-1 on shots in the final after a 0-0 draw. Female participants. Kimi Wada (green) and Beth Eveleigh (yellow). The unofficial junior teams event was won in stunning fashion by Western Flickers TFC who beat Northern Falcons TFC with the winning goal scored four seconds from time! In the Junior event, Northern Falcon’s Oli Ollnow claimed the title. Oliver Ollnow (left) against clubmate Jonty Brener. 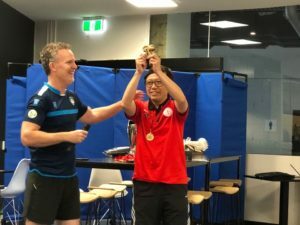 Western Flickers’ Benny Ng claimed top prize in the consolation WASPA event. Several records were broken during the event, with the most players ever at an Asian event (70), the most juniors (16) and the most female players (six).